This More Boos Please knit jersey dress is comfortable perfection for a casual party or office holiday bash. 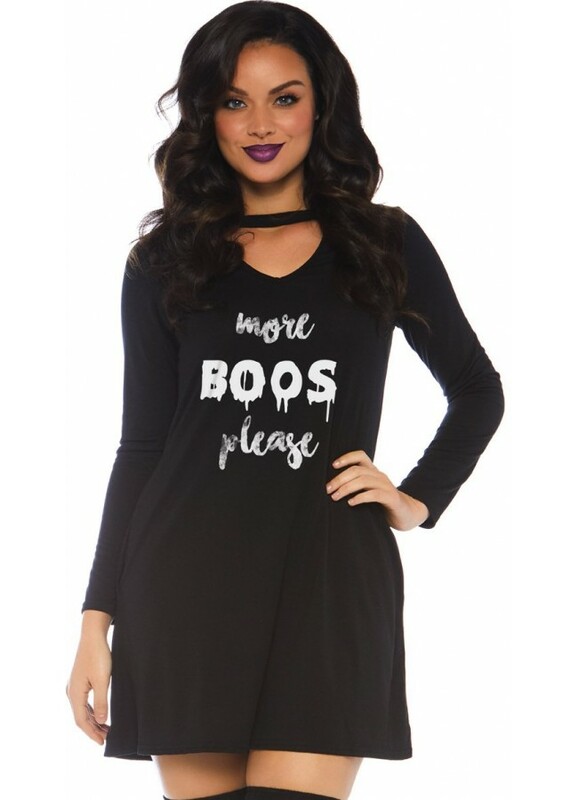 The back long sleeve tunic dress has keyhole scooped neck, pockets, and More Boos Please print. Great with jeans or leggings too! Item Number: LA-c86768 | Approximate Size (Inches): 10.00 wide x 1.00 deep x 12.00 high | Approximate Shipping Weight: 1.00 lbs. They come in several great colors and are fun as well as a practical way to..